We’re here now at USC’s Galen Center for Microsoft’s E3 2013 press conference. It’s a big year for games and gamers, and for living rooms overflowing with multiple devices that will soon consolidate into one, compact uber-console. We’ve got all the top-line news here for you now, with more reports to come from the show floor once E3 proper begins tomorrow, June 11, 2013. So many games. It’s fair to say that Microsoft’s principal focus was, for better and for worse, on play. Questions still linger about things like license transfers and always-listening Kinect on the Xbox One, but there’s no time for any of that today – not with all of these games to talk about. Hold your questions for now and take a peek at what’s coming up for Xbox One. 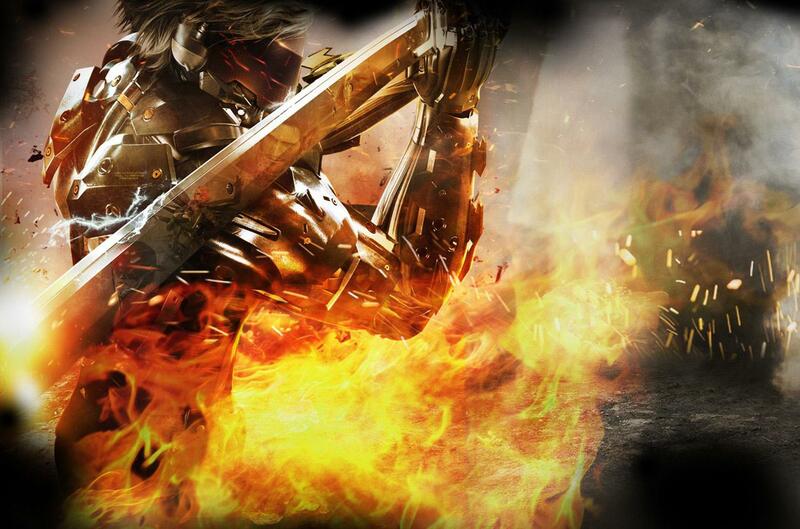 Metal Gear Solid V: The Phantom Pain – The first reveal of the presser. An extended trailer taking a peek at the open world in The Phantom Pain. There’s no talk of Xbox One exclusive-features, so it seems that the Microsoft presser is simply being used as an early look opportunity for Konami. Ryse: Son of Rome – First revealed at E3 2012, Crytek’s Ryse transforms now from an Xbox 360 Kinect game into an Xbox One launch day exclusive. The third-person action looks slick and shiny, but it’s hard to forget while you watch the footage that this one was originally designed for a current-gen console. There’s no indication of any Kinect support at all here. Killer Instinct – Rare’s beloved fighting game is back. This one looks like a complete ground-up remake of the first game, with 2.5D graphics that twist around and zoom in as combos are executed. The graphics lean much more toward photo-realistic than Street Fighter IV‘s, but the camera stylings seem to be inspired by Capcom’s game. Sunset Overdrive – This “stylized open-world shooter” from Insomniac Games looks like it features parkour-style traversal through the world. Insomniac’s Ted Price promised a heavy reliance on the cloud, presumably from the multiplayer-driven play. Co-op seems to be a focus, with multiplayer characters facing off against puffy humanoid creatures with round, toothy mouths. The debut trailer during the presser focused more on style than gameplay, but the cartoonish, colorful world looks like it could be a lot of fun to explore and explode. 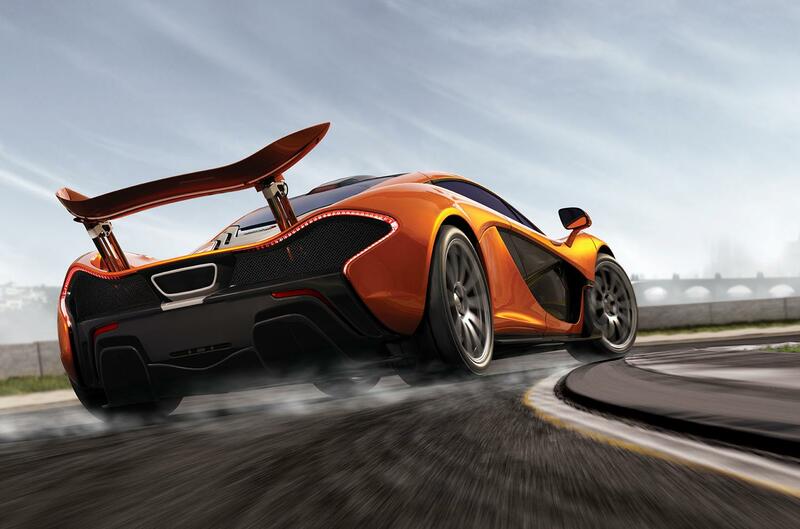 Forza Motorsport 5 – The big reveal for Forza at the presser is a new feature called “Drivatar.” The Xbox One’s cloud computing capabilities are harnessed to track and record your performance, and create an AI-driven version of yourself that competes in races while you’re not at your console. Sounds terrifying. How far removed are we from your Drivatar stepping out of the game and assuming your identity? Minecraft: Xbox One Edition – Minecraft is coming to Xbox One. Bigger maps, bigger multiplayer, zero surprises here. No backwards compatibility for Xbox 360 titles would leave this ridiculously popular indie sensation in the last-gen. No longer. Be excited, Minecrafters. Quantum Break – Remedy’s Sam Lake stepped out to offer a bit more info about Quantum Break, the Xbox One exclusive shown off during the console reveal. It seems that this game ties in with some kind of TV series, with your choices in the game authoring the way the TV side unfolds? Very few details offered. An in-engine video suggests that the ability to stop time for brief periods plays a key role. D4 – New game from Deadly Premonition creator Hidetaka “Swery” Suehiro. Only seconds of gameplay shown. Cel-shaded. High expectation for completely insane writing and play here, but little to be said based on what was shown. Project Spark – A new one from Microsoft Game Studios that appears to be Xbox One’s answer to LittleBigPlanet. In Project Spark, players build an entire world using a mixture of gamepad inputs, voice commands, and SmartGlass, for physically shaping the world with your fingers. You then populate the world you’ve created with characters and structures, and apply various modifiers to influence behaviors. Co-op plays a role in your creations too. The gameplay demo focused on third-person open-world action, but a trailer that followed the presentation showed off some of the other possibilities, everything from Limbo-style 2D platformers to Space Invaders knock-off. Crimson Dragon – Another game that was announced for Kinect on Xbox 360 and seems to now be heading to Xbox One. 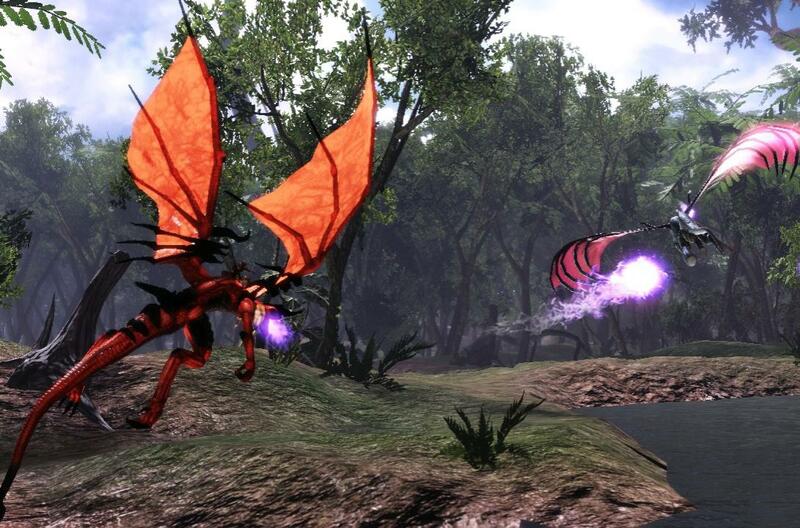 Looks like the same Panzer Dragoon-inspired dragon-shooter from – believe it or not! – the guy who created Panzer Dragoon. Dead Rising 3 – New protagonist, new setting. The open-world city of Los Perdidos is a zombie-filled playground for Nick Ramos, who we first see wielding a monkeywrench and wearing a mechanic’s outfit. The play looks just like you’d expect from a Dead Rising game, but with a shinier feel. There’s no hint or even suggestion of multiplayer support, but the gameplay-driven demo shows off a few new features. Crafting benches seem to be a thing of the past; crafting is now done on the fly with whatever you’ve got handy. Two examples during this demo: a pistol with a flashlight taped to it and a sledgehammer with a circular saw taped to the bottom of the handle. The game also features SmartGlass integration that allows you to call in various forms of support: sniper, flares, and artillery. The Witcher 3: Wild Hunt – No new reveals about this open-world RPG from CD Projekt RED, but a trailer offered a first-ever public look at the gameplay. It looks … like The Witcher! But better! The “multi-region open world” looks vast and pretty and the action seems to move more swiftly than it did in previous games. All in all, a very brief, non-revealing taste. Battlefield 4 – New gameplay sequence from an attack on an aircraft carrier. The Frostbite 3-powered gameplay looks gorgeous on the Xbox One. Debris flying everywhere as explosions rock the carrier, then tear it apart. Jets tumbling across the listing deck, down into the water. At one point, a well-placed shot sets one of the parked jets loose, crushing enemies taking cover nearby. The big reveal here? 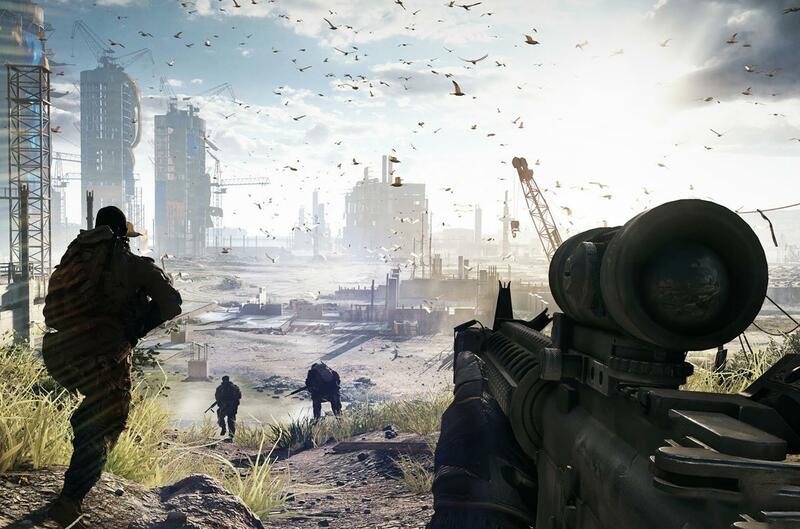 Battlefield 4‘s “Second Assault” DLC will be available first on Xbox One. No Call of Duty in sight! Below – Major excitement for this new rogue-like from Superbrothers and Capybara Games, the creators of Superbrothers: Sword & Sworcery EP. With music from Jim Guthrie!! A few clips of gameplay show off a very zoomed-out top-down game with attractive-yet-minimal graphics. We’ll hopefully see more of this one on the show floor. Black Tusk Studios game – Nothing to go on here, other than the news that Black Tusk is working on an entirely new franchise that Microsoft hopes will compare to Halo and Gears of War. An unrevealing cinematic trailer shows off a nighttime cityscape with fireworks going off. The camera zooms in on one skyscraper with a skin tight-suited operative of some sort rappelling down the side. The unnamed, unidentified figure ambushes another rappelling figure, a woman, through a window and a brief scuffle ensues. No title, no details, no nothing. Stay tuned? 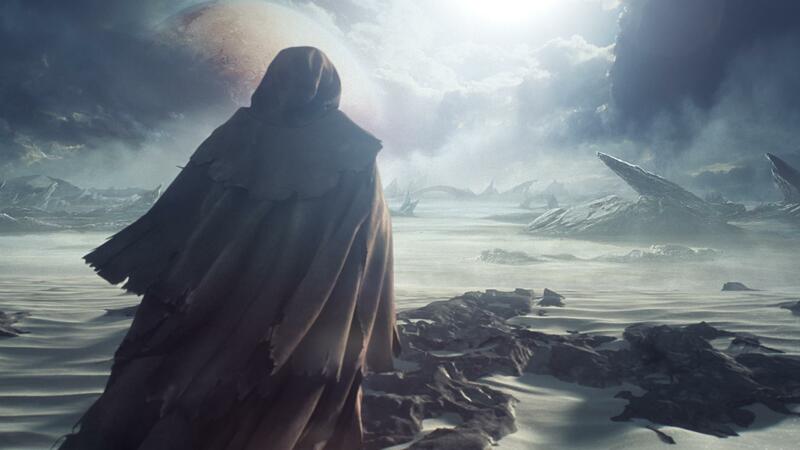 Halo – Great cinematic trailer here featuring an unidentified, heavily cloaked figure walking through a sandstorm. A high-angled longshot shows a sinkhole opening up in the ground and a giant, winged mech-thing emerging from below. The wind blows the hood off of the unidentified figure’s cloak, revealing … Master Chief! No details, other than a 2014 release for this untitled Halo game from 343 Industries. 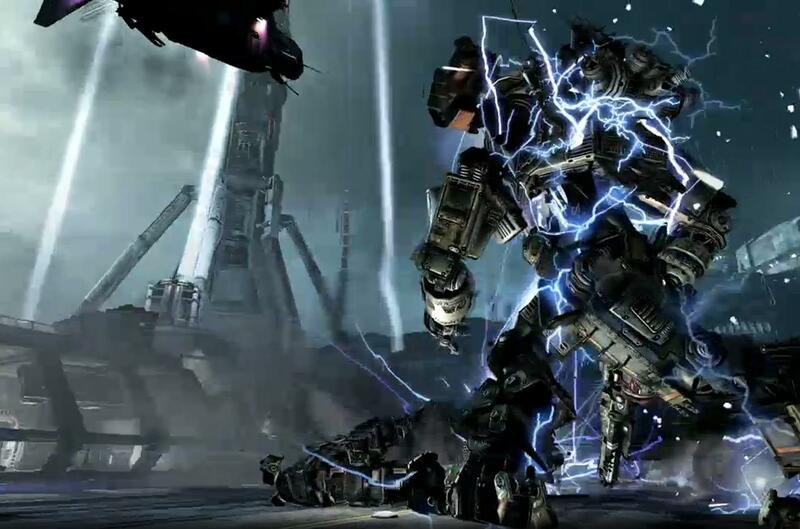 Titanfall – We heard the first details of Respawn Entertainment’s long-in-development shooter from the unfortunate Game Informer leak. Here we got a look at the gameplay. Really impressive visuals on the Xbox One for what appears to be a heavily multiplayer-driven game in which you fight both on foot and from the cockpit of your mech. That’s all for the game reveals, though that’s plenty, right? Microsoft capped off the show with two more exciting nuggets: Xbox Live is ditching Microsoft Points (at last!) for real-world currency and, more importantly, the Xbox One hits stores in November 2013 for $499.